I first met Byron Fenix when he played for us at our Ziindi Vol 1.1 release show. He was recommended by Jeff Slim when we were asking the artists involved whether they knew any DJ’s who would be willing to play the event. I can remember that the music I heard that night was a welcome change from the usual dearth of Native DJ spun events. The blend of electonic, disco, jazz, and R&B caught many listerners by surprise, and lent itself well to the contemporary art inspired event. From this first collaboration we (Ziindi) knew that we wanted to utilize and promote this soulful young man. Most notably at 1Spot Gallery‘s opening event in January of this year. 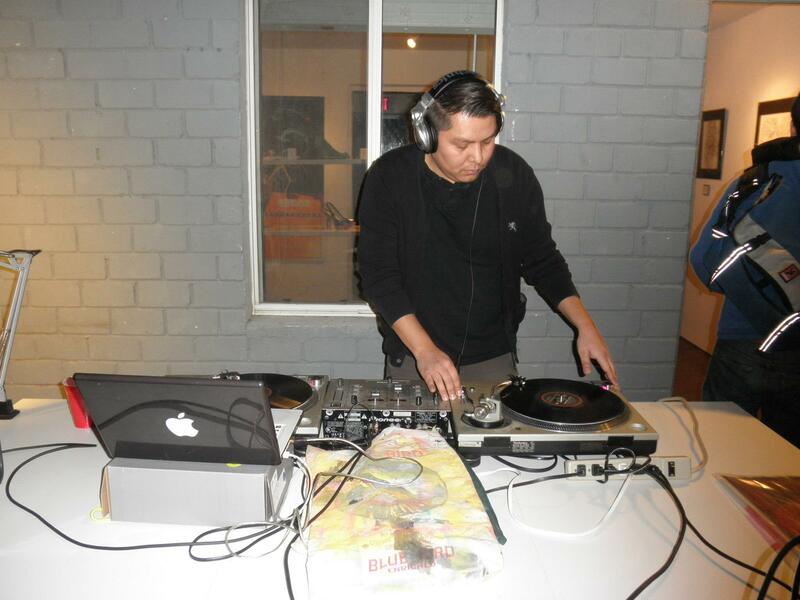 Byron also runs a weekly radio program (Soul Deluxe) via Radio Phoenix and was recently made accessible via Native Voice One nationally. This guy is on the move and with the recent completion of Soul Deluxe’s website, listeners can find out more about this enigmatic young man. Byron is usually playing in several locations on a regular basis, and the website also shows his current schedule. You can also find him playing at, The Lost Leaf, Civic Space Jam, Cosmic @ SoChu House, Searsucker, and Solstice at Bar Smith. Check him out and drop a note to him if you like what you hear!